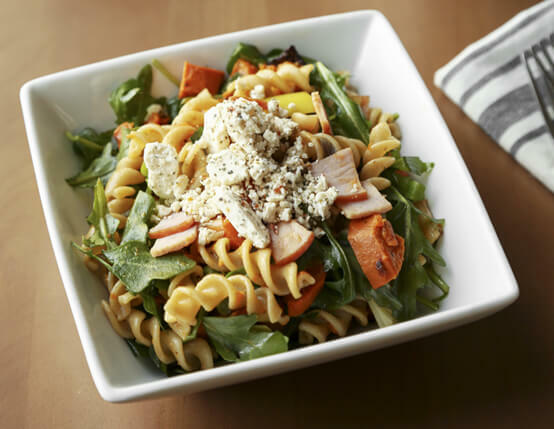 Whole wheat pasta tossed with roasted sweet potatoes, Canadian Bacon, arugula and low fat feta cheese. You'll get all of the flavor and none of the guilt! Preheat oven to 425˚F and line baking sheet with foil. Toss together sweet potatoes, red onion, garlic, 1 tablespoon olive oil, 3/4 teaspoon salt and 3/4 teaspoon black pepper. Place on baking sheet in single layer. Roast for about 15 to 20 minutes (tossing halfway) until browned and crispy. Remove from oven and set aside. Heat large skillet over medium-high heat. Add in remaining 1 tablespoon olive oil and allow to heat through. Stir in leeks and Canadian Bacon. Cook for about 2 to 4 minutes until leeks have softened and bacon has slightly crisped. Remove from heat and set aside. Cook pasta according to package directions. Drain well and return to large pot. 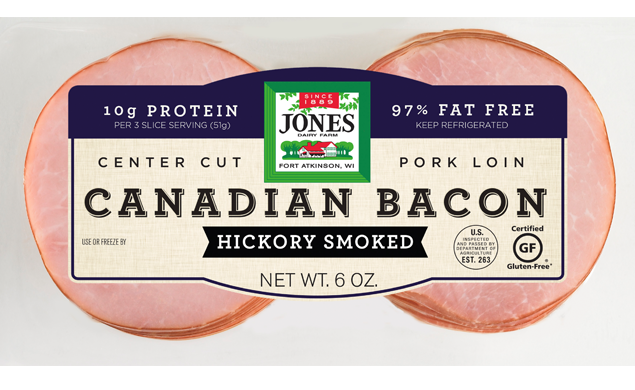 Toss together with roasted veggies, sautéd leeks, Canadian Bacon, arugula and feta cheese until evenly incorporated. Season with remaining salt, pepper and remaining olive oil and balsamic vinegar. Cook on low for 1 to 2 minutes to warm through. Serve warm or at room temperature. ​Yes, ​I will make it again... was yummy!